Single Freesias Single freesias: simple elegance, beautiful colour and fragrance, all are top cut flower varieties. These 'single' freesias have the normal single set of petals, compared with the doubles which have two sets of petals. Single freesias: simple elegance, beautiful colour and fragrance, all are top cut flower varieties. 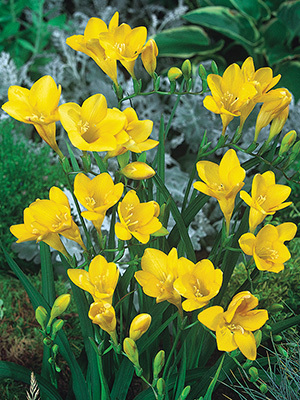 These 'single' freesias have the normal single set of petals, compared with the doubles which have two sets of petals.